When you purchase a retrofit Blended Winglet System from APB, you receive the tools, data, technical support and experience necessary to perform a rapid installation. We understand that in order to get your return on investment, you need to be flying. Contain a Sequenced Modification Standard or "SMS" that has been optimized over the more than 1000 retrofit installations performed to date. 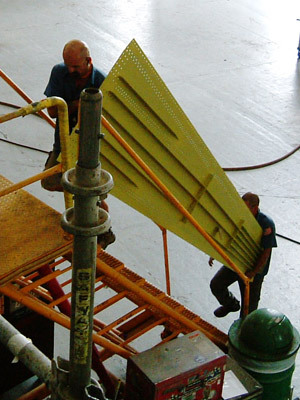 Modification time and span will vary with the capability and experience of the installation crew. Hours are typical averages as self-reported by Installation Centers to APB.